**Disclaimer: This post may contain affiliate links. I received these products free of charge in exchange to faciliate this review. All opinions are 100% my own. Thank you Simply Earth, for sponsoring this post. For my full disclosure policy click here. 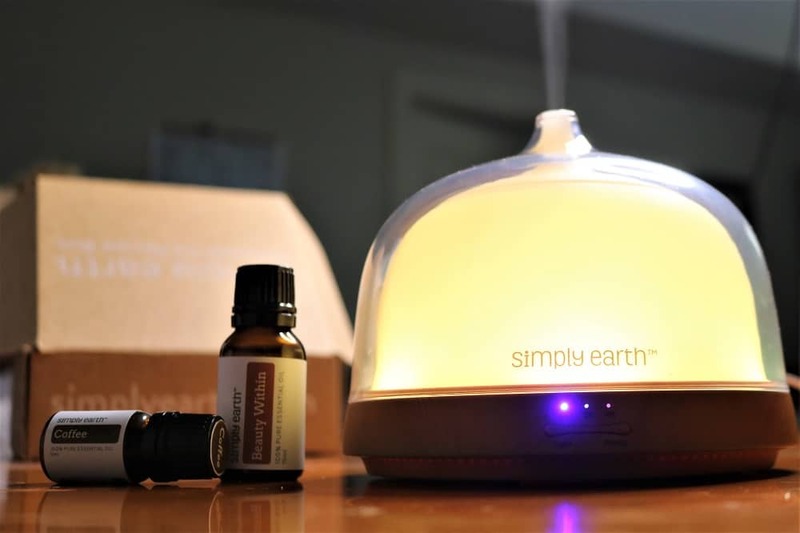 I recently got the opportunity to partner up with a family-run essential oil company called Simply Earth. I had never heard of them so when they reached out to me initially, I had to check them out. I was immediately surprised and taken by their warmth and professionalism. After doing some more research I was set on partnering up with this for this review. As a natural minded mom and birth doula, I am constantly using essential oils. In my household we use essential oils topically, in our natural cleaning products, in our laundry, etc…As you can tell, we use them quite a bit. The only issue is that I was purchasing single oils and they all came at hefty price. One that made my card cry every time I swiped it. Here’s a complete unboxing and review of Simply Earth February 2019 recipe box. I’m quite attentive to detail and upon visiting the Simply Earth website I noticed how inviting and easy it is to navigate. 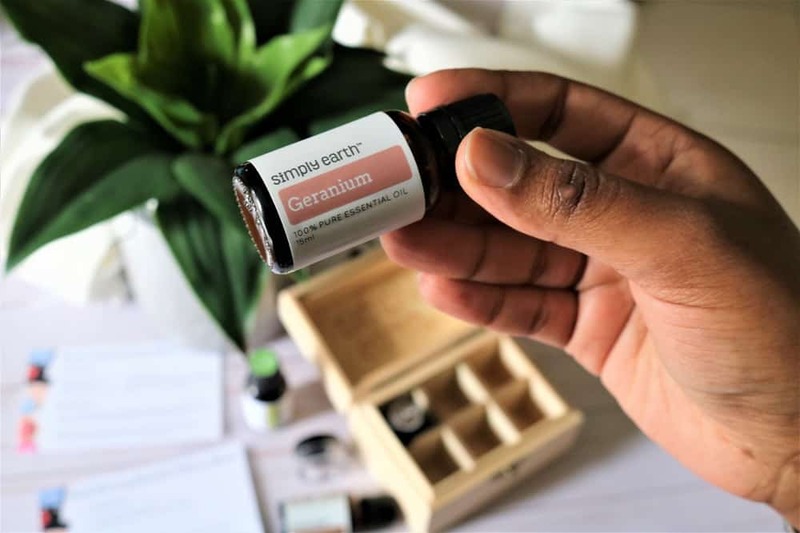 Everything is labelled clearly, the images being displayed are super warm and inviting, and the verbiage being used is very easy to understand (they even have a free essential oil eBook for beginners!). They even have a section on their website where they compare their proprietary essential oil blends with others from doTerra and Young Living. There’s also a dilution rate guide which you can refer to. 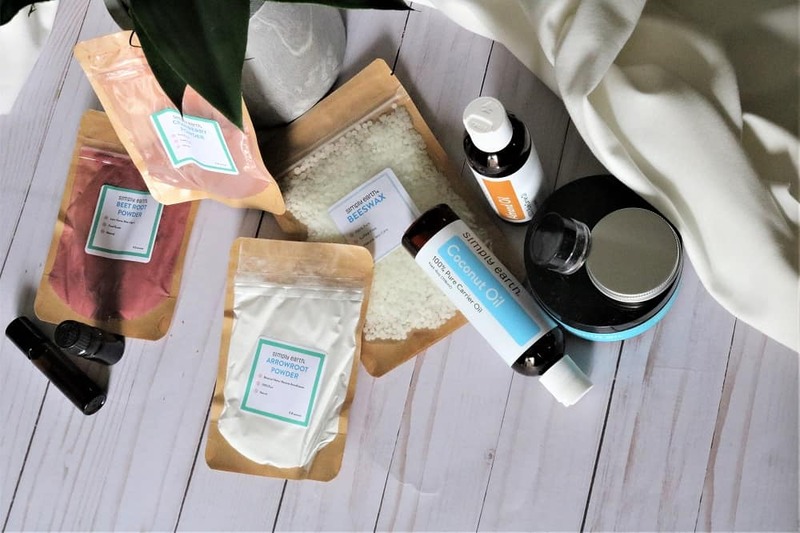 Navigating the world of essential oils can be quite overwhelming especially with all the brands that are out there, however, their website layout makes it very easy on the eyes even for those who are new to the world of essential oils. I don’t know about you but there’s something very special about family-run businesses. I feel like they’re just really passionate about their products and involved every step of the way. That’s very important to me as a consumer because I want to support and invest in companies that not only care about their products, but also about their customers. The most expensive oil I’ve seen on their website is priced at a fraction of the cost of other brands! That’s because they remove the middleman and sell their products to you directly. Simply Earth shares 13% of their profits to tackle the atrocious, illegal practice of human trafficking. I’m a sucker for packaging. To me, quality packaging shows me that the company really values their products and customers. I love the minimalist design, the sturdiness and the fact that I could immediately tell what their company is about. 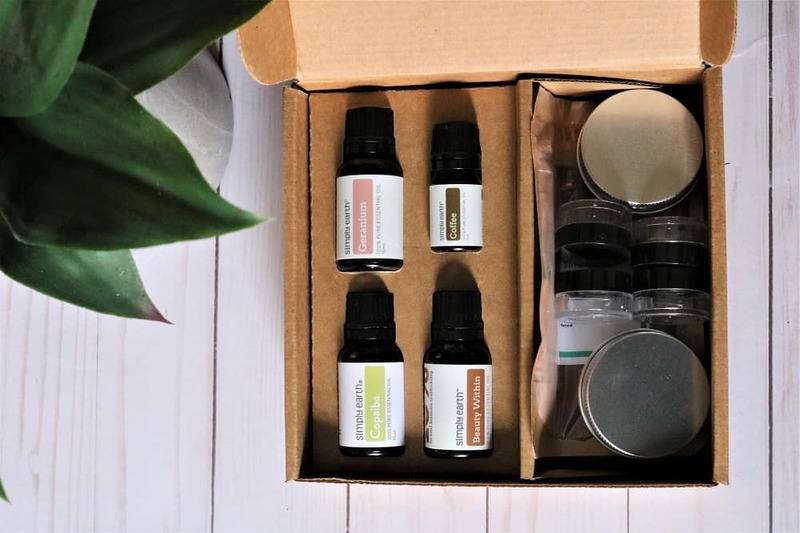 Box #1 is the February 2019 Essential Oil Recipe Box. – 15mL Geranium essential oil – balances the skin and relieves tension and stress. Studies show this this oil is also effective for reducing anxiety and decreasing diastolic blood pressure during labor- perfect! Box #2 is the BONUS BOX ($50 value)! I was definitely pleasantly surprised to see another box full of full-sized products. I also received their 200mL Essential Oil Diffuser and a Wooden Essential Oil Box, as part of this collaboration. I love the the clean, sleek, minimalist design of the diffuser. This would be a great item to pack in your labor bag. Using a diffuser to create a peaceful and soothing environment is an effective way to manage labor naturally. It’s very easy to use and I really like the fact that it shuts off when it runs out of water. It also changes colors. The kids love it! The wooden box is cute and it’s the perfect place to store all of my essential oils. Well for starters I love the price point of these products! These 2 boxes are valued at $150 but Simply Earth sells them for $39. You can choose to buy one recipe box or you can subscribe to a brand new recipe box delivered to your doorstep every single month! All 4 of essential oils are fantastic and smell just like what they’re supposed to. I tried the Good Morning Beautiful Diffuser blend and it was very refreshing and energizing. I’m excited to blend some of the other oils to diffuse them in my home as well. I could tell by their bold scents that they’re all pure and undiluted. I also plan on incorporating the other essential oils and products into my personal beauty and wellness routines. The only thing I didn’t like was the fact the the solid coconut oil seemed to be refined. I use raw, organic cold-pressed coconut oil every single day and I knew right away when I smelled the coconut oil from Simply Earth, that it was refined— it had no coconut scent whatsoever. These Boxes #1 and 2 alone are valued at $150 but with Simply Earth, you’d pay $39 a month. You’d be receiving a recipe box packed with 4 full-sized essential oils + extras to make 6 recipes. Every single month! And you can cancel/renew your subscription at anytime. You are NEVER locked in. But listen. I really appreciate you 😘 and your readership. And I think you’ll enjoy these products. So use the code LIFEOFABABEFREE at checkout to get $ off your next order. If you use my code when you subscribe for the 1st time, you’ll receive a $20 gift card with your initial subscription box and bonus box (yes, those 2 boxes valued at $150). You can use the $20 gift card towards your next box/purchase! Hey, maybe you can get that diffuser! Remember you can cancel and re-activate your subscription at any time. This looks amazing. 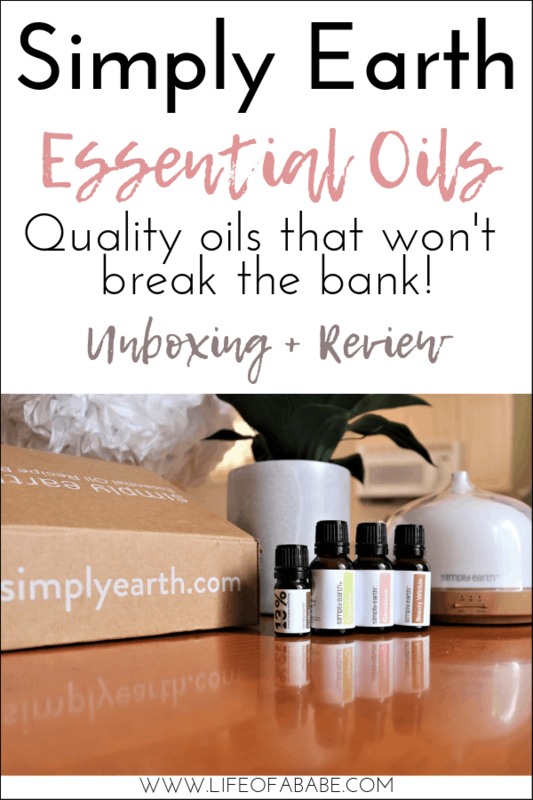 I love subscription boxes and I am just starting to ease into using oils for migraines etc. These look like great products and I love that they are full sized. Thank you for sharing!